Purchase a Vertical and get your band on this page! 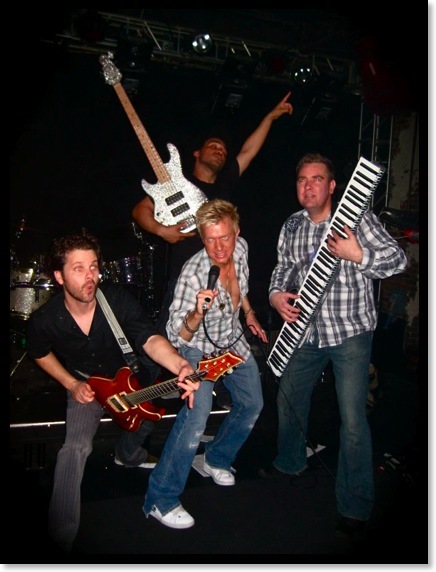 Play the Vertical Keyboard rockstar style like Dan Walker from Zowie Bowie in Vegas! Prepare yourself to be blown away by the future of heavy metal with Age of Evil. 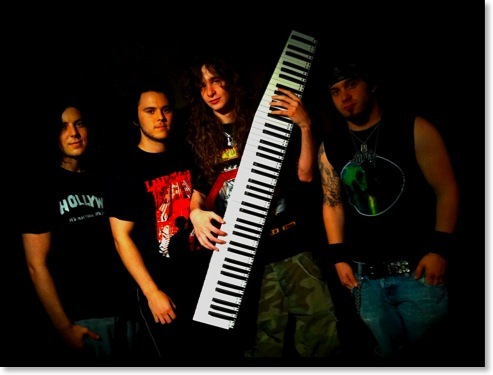 Vertical Keyboards also work well for eclectic bands.. 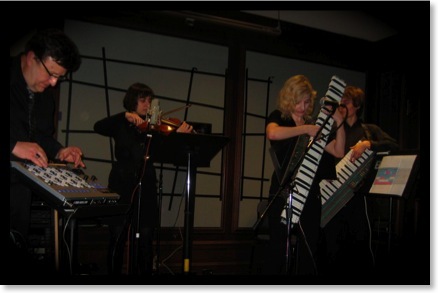 The first Vertical Keyboard performance was in Boston at the Bohlen-Pierce Symposium in 2010. Below are two videos from the performance. left to right: Dr Richard Boulanger on a Bohlen-Pierce (BP) tuned sonome, Marji Gere on a BP-tuned violin, Dan Sedgewick on BP-piano, and Elaine Walker on a “BP-tar” vertical keyboard (front). Play the vertical keyboard on your lap for the first song, then surprise the audience by standing up and strapping it on vertically!